In turn, I’m reminded of an Algerian jinn called “Mother of the Night.” She takes devastates the flocks and herds of those who disrespect her but grants prosperity to those who remember her and who wear amulets sacred to her. One of this figure’s most significant hypostases is as the Welsh being called Malen (or, Malt y nos; also, Bela, Mam y Drwg, Matilda of the Night, the Old Hag, Y Wrach). Some have deemed this being an avatar of the Celtic goddess Ceridwen, while others have deemed her to be an avatar of the goddess Andraste. Over the centuries, as a result of Christianization, she apparently, as Andras, came to be called Malen and/or the “Devil’s Grandmother." The expression “chwareu yr Andras” means to “play the [female] Devil.” Malen may also have gathered into herself some of the archetypal force of the Roman goddesses Bellona and Minerva. It is possible that Malen may reflect the sinister and/or “masculine” aspect of a sort of “Double Woman” Moon Goddess whose beneficent and/or “feminine” face may be that of the goddess Arianrhod. As Malen, she is, like Llyr’s daughter Bronwen, considered a gwrvorwyn, an amazon, a “man-maid, or virago." You can view The Pagan Heart of the West on Amazon. 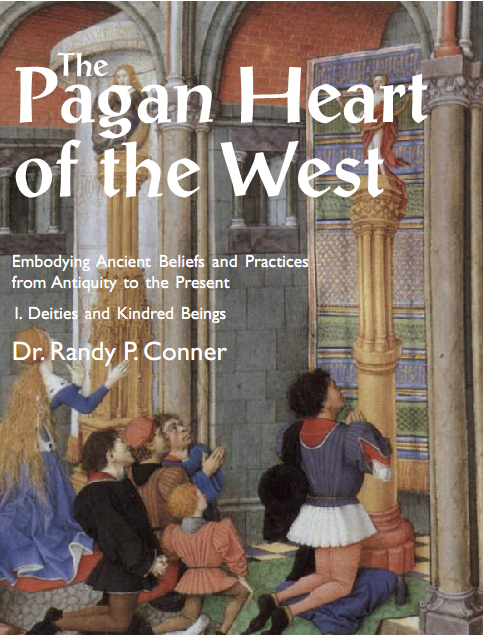 The author is Dr Randy P. Conner and it is published by Mandrake of Oxford.